More rain has fallen since my latest trip to Bury Hill in Dorking. In fact we’ve had 65mm in around 72 hours in Sevenoaks! The rivers must be over the banks again in a lot of areas but the good news is things look like they are going to settle down now, well for a while at least. Due to the dire forecast, Geoff and I opted to try for some more roach. Old Bury Hill has a reputation for good quality fish and has produced good numbers over 2lbs. Our drive through the Kent and Surrey countryside highlighted the effects of the recent storms. Most of the fields were like lakes and the occasional view of a river showed them to be high, coloured and very turbulent. It wouldn’t take much to send the river levels up and cascading over the banks and back into fields, roads and houses. It was a rather grey day and the forecast was predicting heavy winds gusting to around 30mph and heavy rain showers. We managed to persuade the gentleman in the shop to rustle us up some toast and marmalade and a nice cup of tea, as the cafe was closed. That was a very nice gesture and was very much appreciated. As we walked along the banks we realised just how bad things were. Most of the banks were sodden and there was large amounts of standing water. In some areas water was actually flowing across the banks. Thank goodness we had put our boots on. We also discovered that a small bridge across the stream which runs adjacent to the lakes had been washed away in the floods. We were soon at our chosen lake and after some plumbing around, both selected swims. By now the wind had already picked up but the rain seemed to be holding off for the time being at least. My set-up was very simple. My Maver Reactolite 13ft float rod, Drennan fixed spool, 4lb mainline and a 3.6lb hooklink and 16 hook. I like to use a swivel to connect the mainline and hooklink and then mould some tungsten putty around this to set the float. By doing this and using float stops, I don’t pinch any shot on the line and therefore avoid any line damage whatsoever. There are downsides to using this method of course, for instance if you want to fish a long drop between hook and shot. Then you may need to revert back to split shot, bulking it up at the float and fish a very small dropper shot around 1/2 way between float and hook. This may well be a better method for roach, as they often take on the drop after a prolonged period of feeding maggots. After around 90 minutes without a bite, I decided to have a look around the lake. By now the wind had picked up and it was blowing directly into my face. This was causing a few problems with presentation and I wasn’t happy with the results. I found an area slightly sheltered from the strong wind and with a reasonable depth of around 3ft. Feeding small golf ball size balls of Bloodworm and Maggot Crush and loose feeding maggots flavoured with Winter Almond overspray, I then fished single maggot over the top. 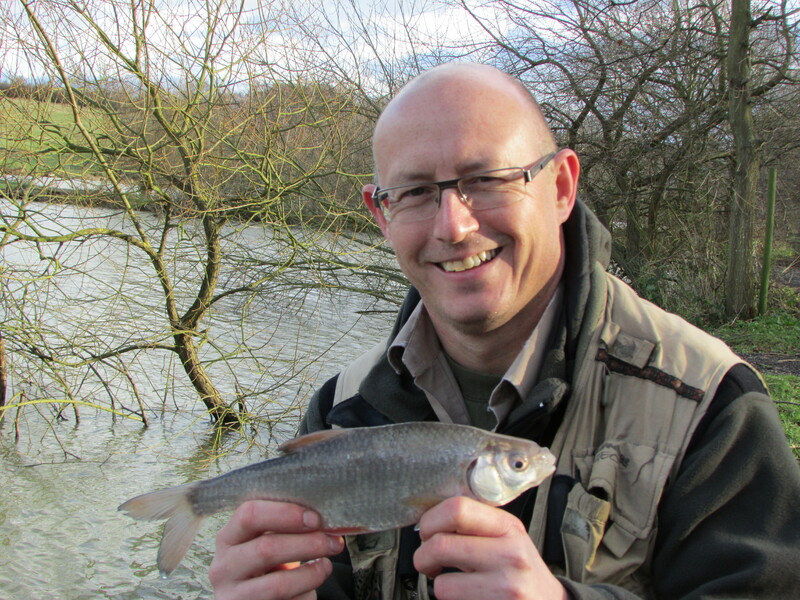 I lost a couple of fish early on and then managed to tempt a couple of pristine roach of around 8oz. Despite looking good, the swim just didn’t seem to be producing many bites. By now Geoff had also moved and seemed to have found a few fish. He had taken around 12 nice roach in the 8oz-1lb bracket. He wandered over to see me and said that bronze maggots were producing more bites. So I duly pinched a few of his and mixed them in with my flavoured reds and then out went the float again. The float had barely settled when it disappeared. After a very spirited fight a beautiful, pristine roach was netted. I popped it on the scales and it registered 1lb 7oz and proved to be the best roach of the day. The swim then produced a small bream and little else, so another move was in order. By now the heavy rain showers had started and some were quite prolonged. Due to the nature of the swims and the severity of the wind, an umbrella wasn’t really an option. It was a case of hunkering down in our winter clothing and just trying to keep the rain out. I moved across the lake and settled in next to Geoff. 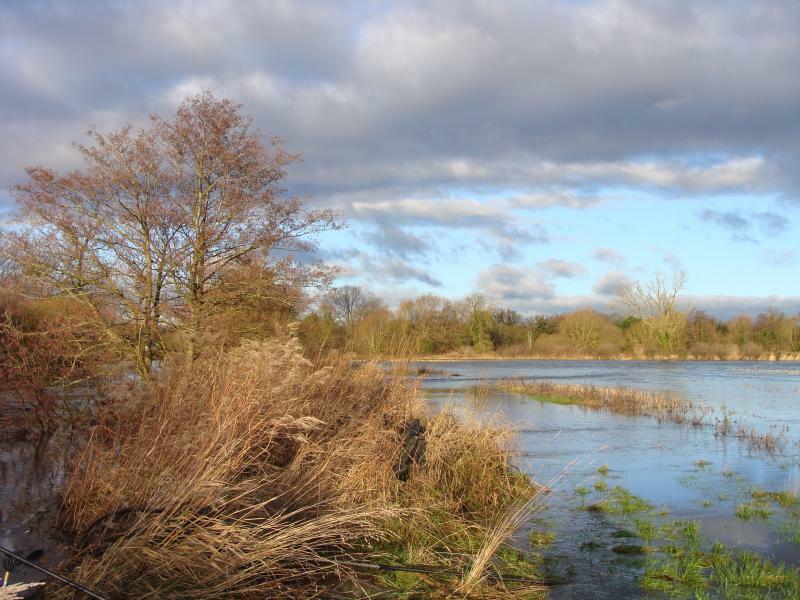 He had found a deep swim of around 5ft of water close in and adjacent to some marginal reeds. He continued to catch steadily for the remainder of the day and ended up with around 20 nice roach to 1lb 1oz. I seemed to elicit less bites with my set up than Geoff. Geoff had opted to fish a long tail and an 18 hook. This I suspect made the difference. However I was treated to quite a mixed bag; I ended up with a tench of around 3lbs, a couple of bream, a couple of roach to around 10oz and just as the day was drawing to a close the float buried and something took off like a high speed train. I had obviously hooked one of the resident carp. It fought long and hard on the light tackle but with steady pressure I coaxed it into the waiting landing net. I was fairly convinced it would go mid doubles but in fact it was smaller than I had at first thought. 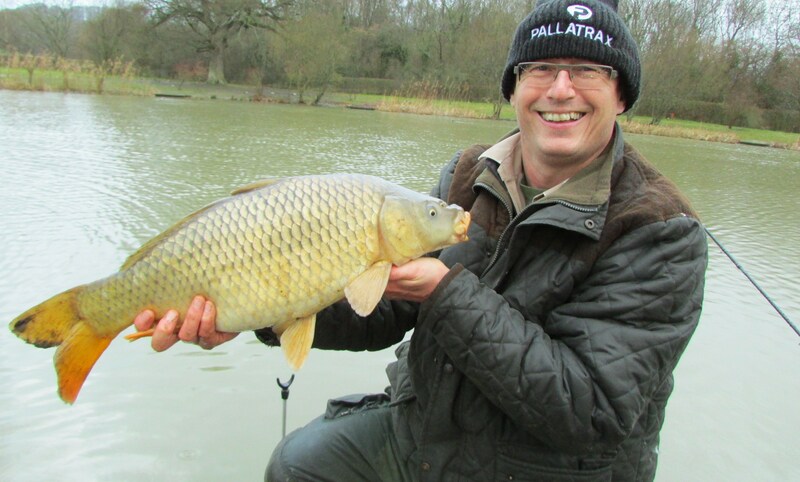 It was a stunning common and weighed 9lb 13oz and was an exciting finish to a rather mucky, wet and windy day. As Arnie would say in that heavy Austrian accent; “I’ll be back”! 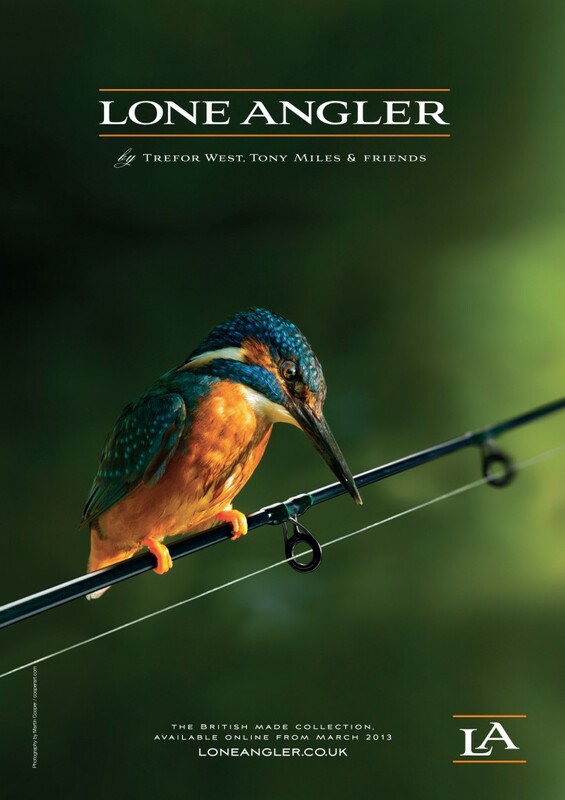 Andrew Poole has arranged a weekend fish-in in July this year to raise money for Cancer Research UK. It is being supported by lots of people and angling groups but needs your support too. 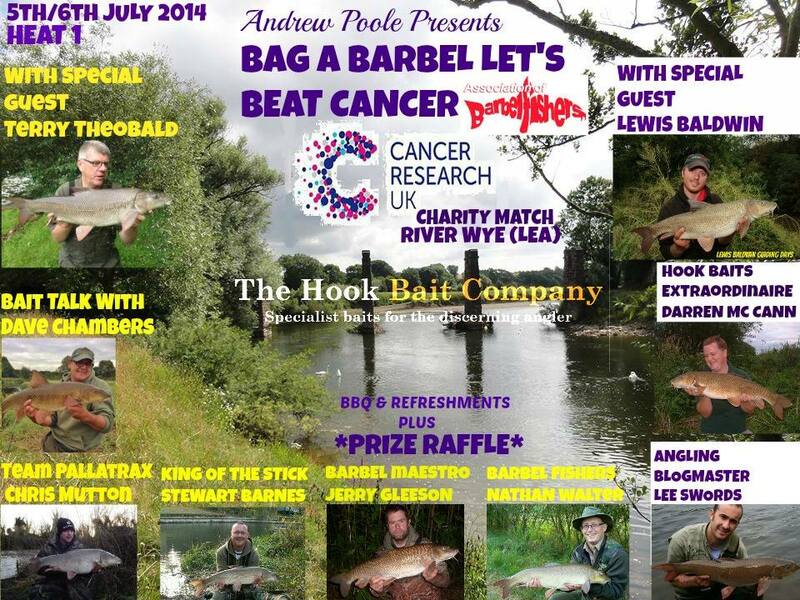 Bag A Barbel and Let’s Beat Cancer. Sorry, couldn’t resist that! 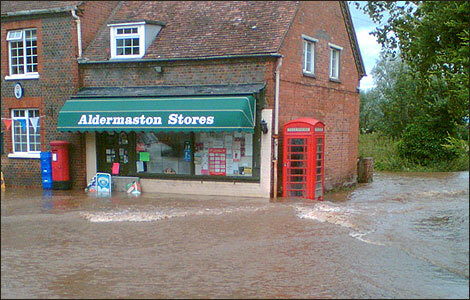 Well it has certainly rained a bit recently. And oh boy when it rains it really rains. Most of the country seems to be under water, with the vast majority of the UK’s rivers on flood alert. The news channels are awash (sorry) with pictures and stories on the latest developments as they happen, minute by minute. Some areas have had devastating water level rises and to all of those poor souls who have had their homes flooded out, my deepest sympathies. Let’s hope we’ve seen an end to it for the remainder of the winter. Of course generally winter floods means warm rain and milder weather. All that basically means feeding barbel. However when levels rise this much you have to be very careful indeed. I love to catch barbel but I’m not risking life and limb to do it. You need to know your stretch like the back of your hand before attempting to fish in these exceptionally high conditions. The fields are flooded and you need to know every nook and cranny of the beat you are going to fish. Ditches, holes, uneven ground, crumbling banks, feeder streams etc. etc. can all become death traps if you go wandering off kitted out in your waders oblivious to the dangers. Unless you are 100% confident, then don’t bother. 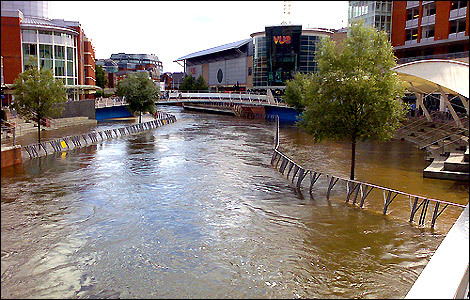 Wait for the river to drop to a safer level and then give it a go. I did manage to venture out after a 3 week hiatus. This was mainly due to work but also a chest infection which has lasted the best part of 4 weeks and has left me a little run down. Danny and I met at the world famous (or is that infamous) Max’s Cafe for the full Monty before exploring a couple of sections of the Kennet. The river had burst it’s banks around the upper Benyons, however the car park side appeared to be OK. A walk downstream confirmed that it was safely accessible. Danny and I found a number of good looking spots to try but wanted to look at another stretch first. So we drove to the second beat and due to the time, decided to fish it. However once we had walked the beat with the gear, I realised it was a mistake. There were far less areas that looked fishable to me, whereas we had left a stretch that had a number of excellent opportunities on offer. We persevered but unfortunately failed to get a bite. 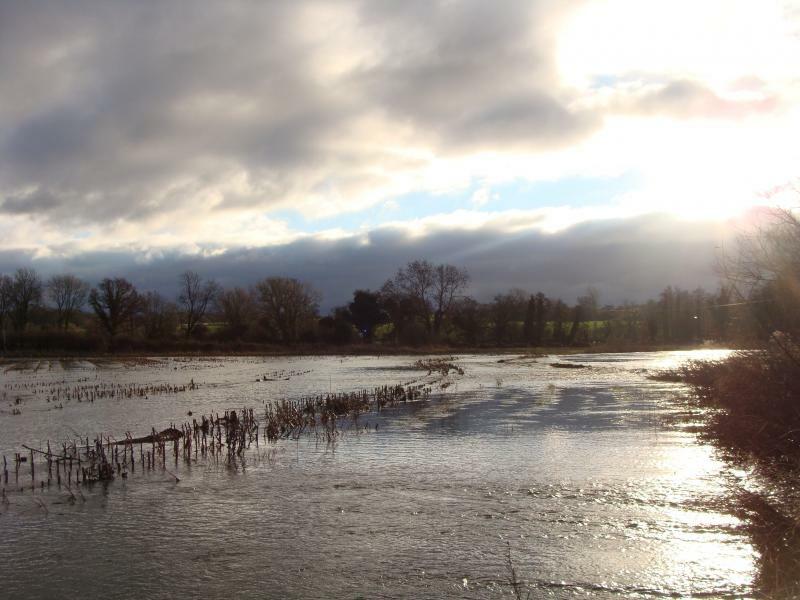 By 4pm the river was rising and spilling out into the adjoining fields. It was time to head home and after being poorly for so long I felt completely exhausted from all of the walking. The next day saw Geoff and I heading to an old haunt in search of some roach. 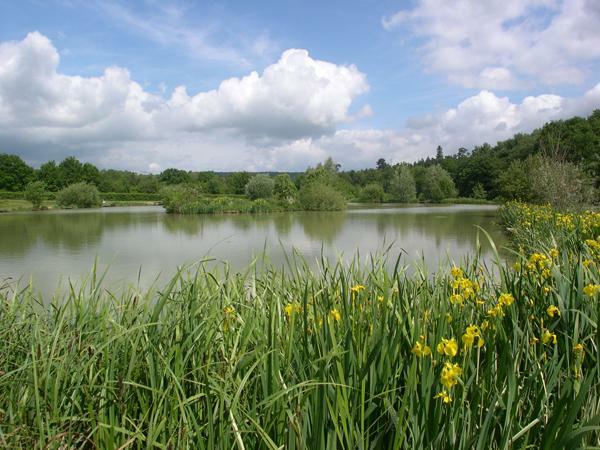 These are a group of small lakes in Herne, Kent. They are renowned for the quality of the roach fishing. The wind had sprung up and became very blustery and remained that way all day. 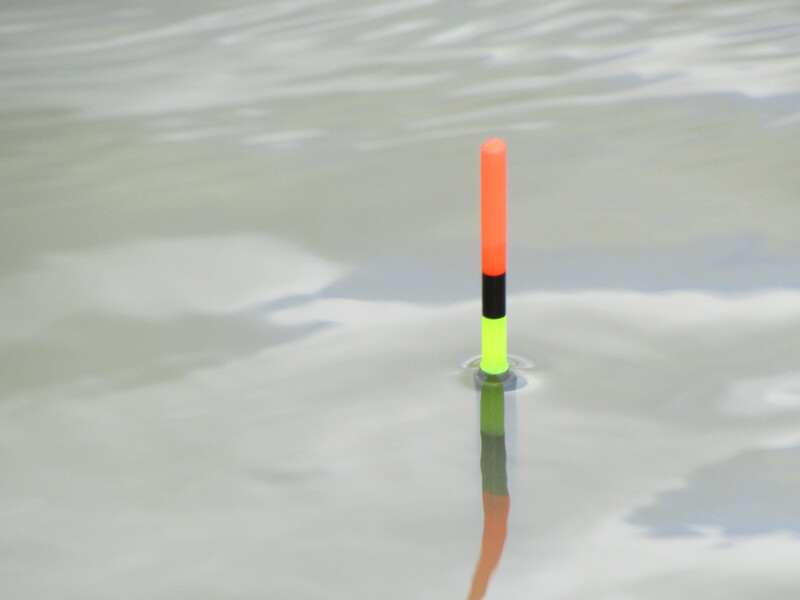 We opted to float fish in an area of around 4ft (which is good for these lakes) and slightly sheltered from the wind. My swim had a sunken tree in close which I thought offered a nice feature to fish to. The set up was fairly simple; 13ft Maver Reactorlite, fixed spool reel with 4lb line and a 3.5lb hooklink with a size 14 hook. The float was a simple Drennan loaded waggler. 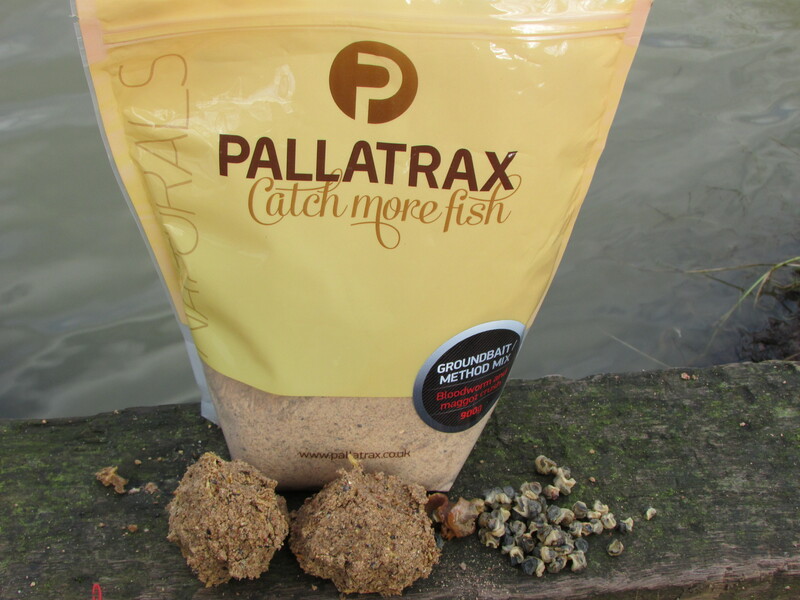 I had a number of baits at my disposal including Pallatrax Hidra small snails, maggots, luncheon meat cubes and expander pellets. 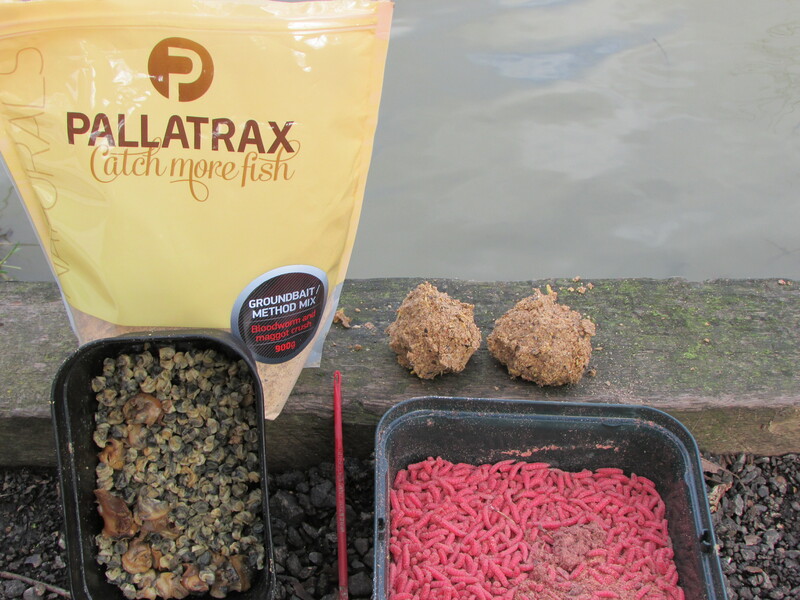 Additionally I had sprayed the maggots and Hidra’s with the Winter Almond over spray and also mixed up some of my favourite groundbait which is the excellent Pallatrax Bloodworm and Maggot Crush. After carefully plumbing the swim, I opted to fish close to the sunken tree at around 1 rod length out. I mixed up the groundbait and put out two small balls and some maggots. I continued to feed golf ball sized balls of groundbait throughout the day. Initially I opted to fish on the bottom and alternated between all of the baits at my disposal. Bites came almost immediately and unfortunately it seemed that small skimmer bream had become quite populous here. In the past it was rare to catch bream on this particular lake and now they were far more prevalent. Still it was nice to get the rod bent. 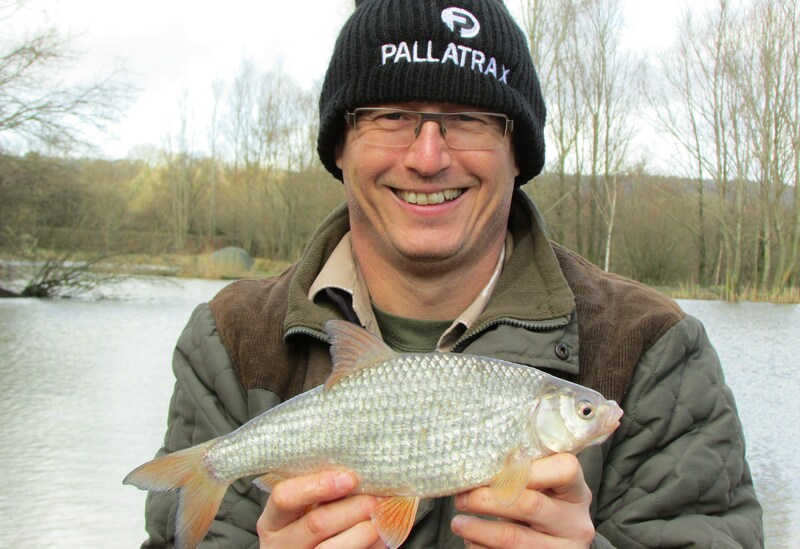 A few decent roach put in an appearance and numerous fish were netted up to 10oz for me. Geoff managed a couple of better ones at 13oz and 14oz. 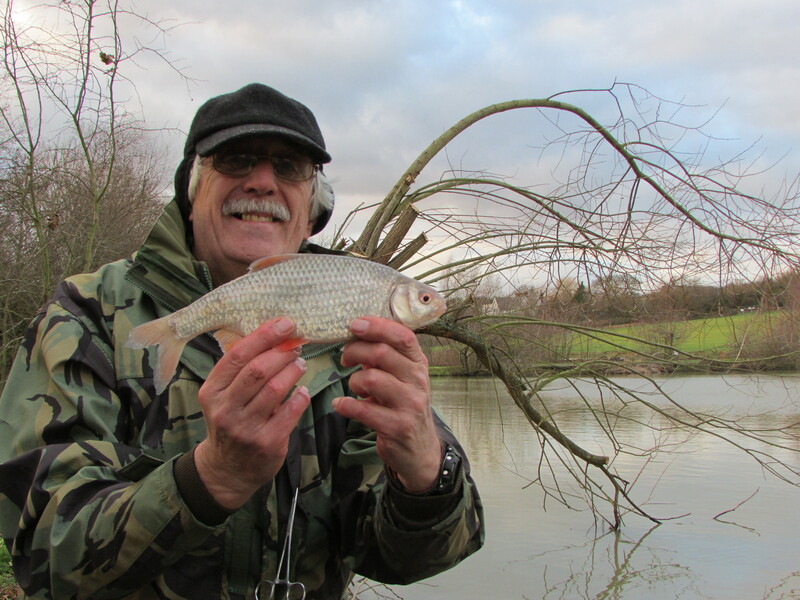 In the past we have caught good numbers of 1lb plus roach here but it wasn’t to be today. The bream were generally small with the odd better fish, possibly up to a couple of pounds. 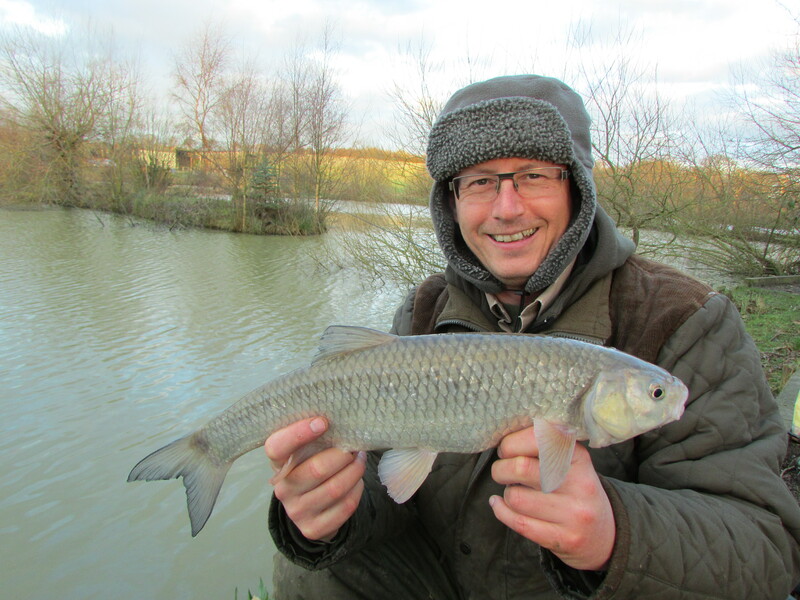 Both Geoff and I had a couple of surprise captures; we both had two nice chub apiece, with the biggest about 3lbs. I also lost a big common carp near the net when the hooked pulled. We saw the fish on numerous occasions before it came adrift and it looked to be well into double figures, so I was a bit gutted to lose that. Then just to keep up with the Jones’ as they say, Geoff also lost a good carp.